The race for Best New Artist at the 2013 Grammy Awards is a tough one. Some years, it’s hard for the Recording Academy to find five qualified candidates, but this year there’s an overload of possible nominees. Who will be the five finalists for Best New Artist when the nominees are announced on December 5? Let’s start with Fun and Frank Ocean. 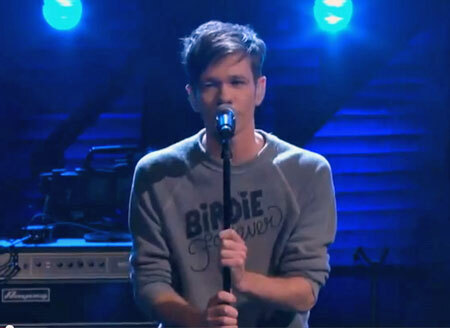 Fun have scored two big hits with “We Are Young” and “Some Nights,” so they’re a lock. R&B star Frank Ocean had the most acclaimed album of the year with “Channel Orange,” and his emotional coming out story makes him a sentimental favorite. Many observers see Gotye, the “Somebody That I Used to Know” singer, as a third lock here, but I’m not so sure about that. It’s only six months after his big hit, and already it’s become apparent that Gotye is a good candidate for eternal one-hit wonder status. Gotye will definitely get some Grammy nominations, but the Academy may not choose him for this category over some of the other qualified artists. The third spot will go to massively successful boy band One Direction. Best New Artist is the one Grammy category where teen pop artists are rewarded for their huge album sales. The Jonas Brothers and Justin Bieber both got nominated here, for instance. And, to be a bit cynical, the Grammys know they’ll get a ton more eyeballs in front of tv screens on Grammy night if Directioners have a reason to tune in. One Direction is the biggest artist in the world right now in terms of album sales and tour success, so they won’t be overlooked. That leaves two spots to split between three promising artists on major labels: Ed Sheeran, Ellie Goulding and Lana Del Rey. Del Rey became something of a laughingstock after her disastrous Saturday Night Live performance, but she still has a lot of support within the industry. The exclusion of Sheeran would be a crime, as the talented singer-songwriter flat-out deserves to win the award. But we suspect the two ladies will edge him out. Del Rey gets in for her critical acclaim, and the success of ‘Lights’ will push Goulding to the final nomination. We’ve gotten a lot of comments here on TMA from fans of Haley Reinhart hoping the American Idol alum will get nominated, but that’s extraordinarily unlikely. In another year, maybe she’d have a shot, but with the strong field for the 2013 Grammys, she doesn’t have a prayer. Similarly, many have been calling for Emeli Sande as this year’s long-shot nominee, like Esperanza Spalding or Corinne Bailey Rae. But again, there are too many other worthy acts for Sande to get in. Other contenders include Carly Rae Jepsen, the Lumineers, and Luke Bryan, if the Academy decides to force in a country act, as they often do. Who would you like to see get nominated for Best New Artist at the 2013 Grammys?